Every parent has probably had the experience of passing an adoption drive at a fair or at a pet store, and have their child stop dead in their tracks and refuse to budge unless you brought one of the kittens on display home. After 19 years, Michael and Fran Perceval decided it was time to sell their home, so they put the property up for auction. It fetched $2,060,000 as the highest bid, the Herald Sun reports. But when it came time to close the deal, the bidder offered $2.2 million — $140,000 more than the winning amount. So why the difference? The buyers were in love with the property, but when they inspected the place, their child saw the Perceval’s family pet, 4-year-old cat Tiffany, and instantly fell in love with her. 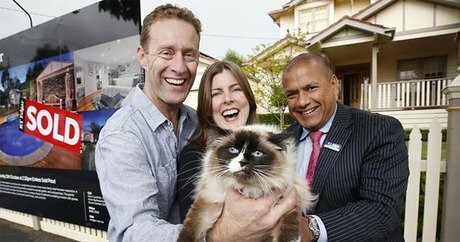 The buyers paid $2.2 million, but the cat had to be included with the house. Not everyone is happy with the sale of the feline — namely, the Percival’s 19-year-old son, Sam. According to 9news, Sam initially purchased the cat from a pet store.